If your desk reminds you of the local tip then you might like to clean up your desk with the desktop dumpster. 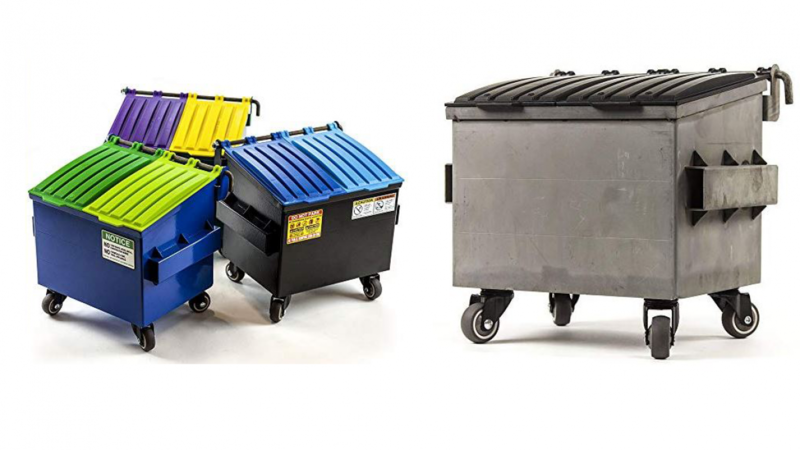 This is a desktop sized dumpster that looks very much like a full sized dumpster because it is made of raw steel. You can use it for rubbish or you can use it to store those desktop items that constantly get in your way. 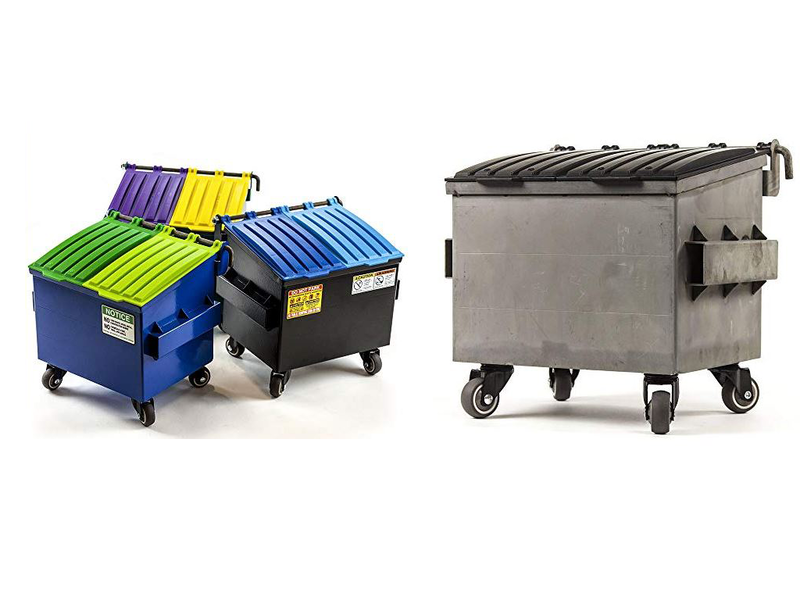 This little dumpster looks amazing in almost any office and works particularly well with most modern or industrial decor. It is a great little addition to your office that is sure to add to the overall vibe of your workspace and be very convenient. 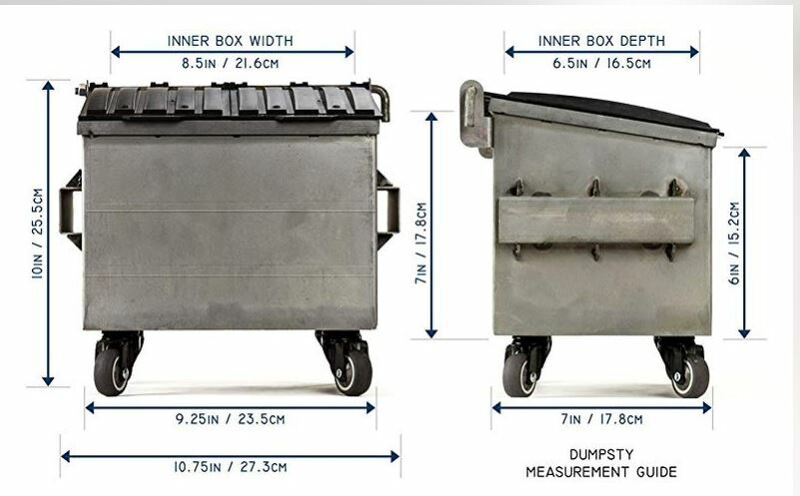 The dumpsty dumpster measures eleven inches across which is a great size to store papers and magazines. It can hold quite a lot of stuff for storage or quite a lot of rubbish. The dumpster also looks very cool and is sure to be envied by your workmates. It comes with authentic looking dumpster warning signs that are magnets. You can use them just to decorate the dumpster or you can use them to hold notes in place. Choose from lids in seven different colors. 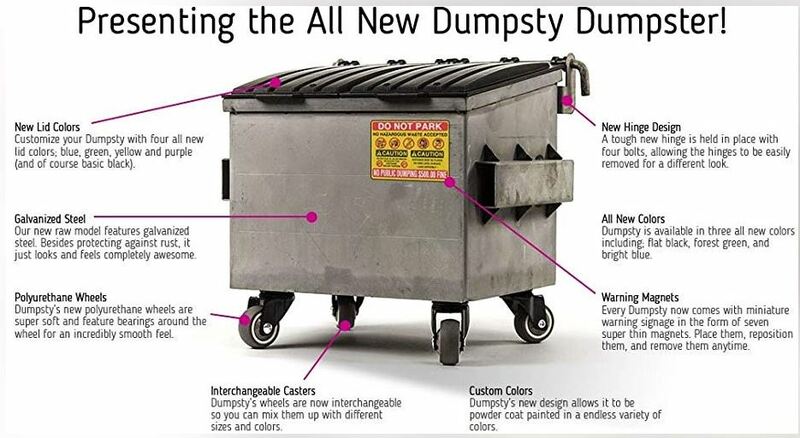 You can also decorate your dumpster anyway that you choose because the surface is paintable. If you like this cool desktop dumpster then you may also like to check out the following.